July 10 – August 22, Robert Minervini: Invisible Reflections at Rena Bransten Projects: Robert Minervini’s work is grounded in the structures of reality, but ultimately invites us in to a dreamlike, surreal space. Part utopia and part dystopia, these spaces are brimming with hyper-real color, and are rendered in vivid detail. 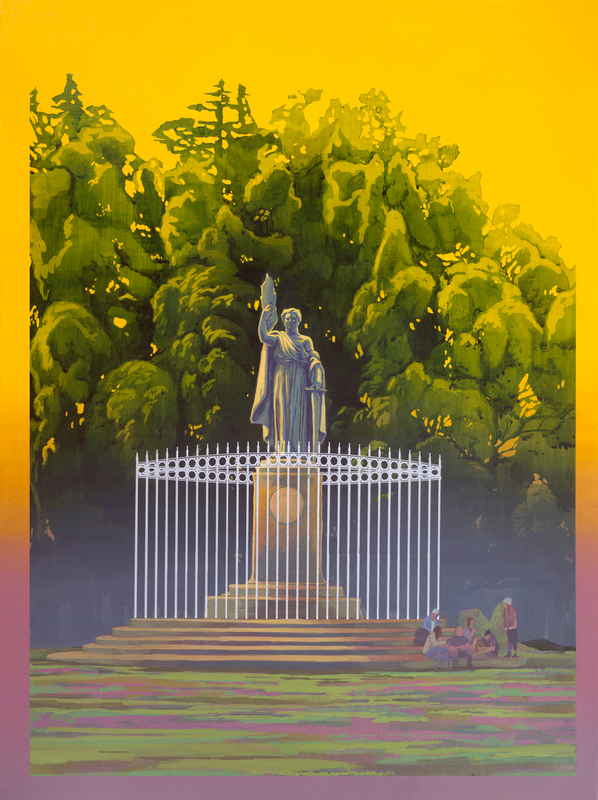 This exhibition features a series of acrylic paintings on paper, that survey six monuments in Golden Gate Park. Minervini’s interest in culture and landscape, and how the two coincide, inspired the series which was recently installed on MUNI bus kiosk as part of the Art on Market Street project, a collaboration with SFAC. The opening reception is Friday, July 17, 5-7 pm. Rena Bransten Projects is located at 1639 Market Street in San Francisco. 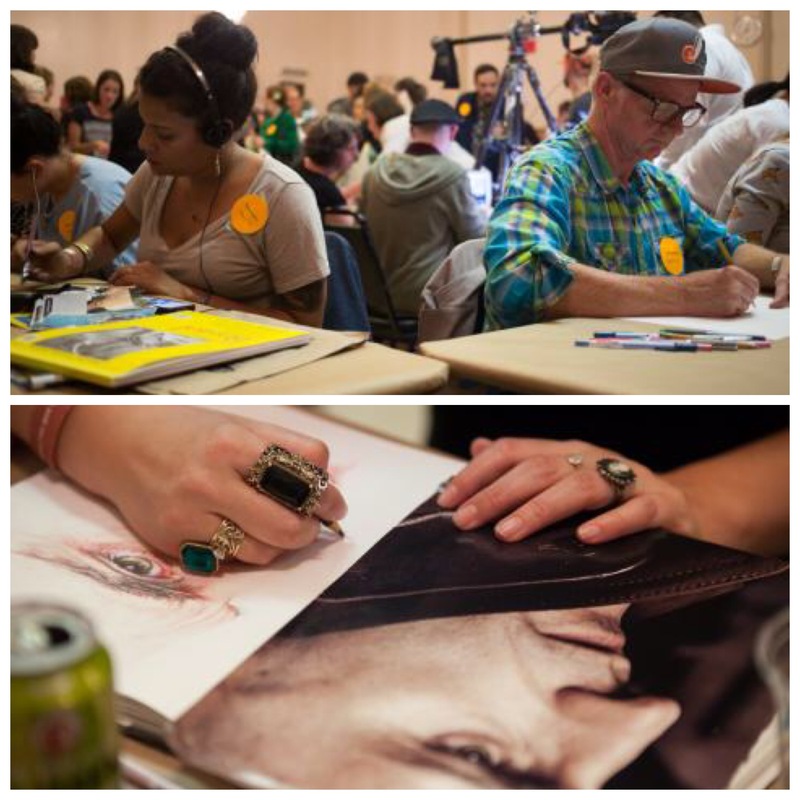 Friday, July 10th, 6 – 11 pm, Southern Exposure’s Monster Drawing Rally at The Verdi Club: It’s time for the famous annual Monster Drawing Rally, a live drawing even and fundraiser where over 120 artists work side by side. As spectators spy on the creative process, sketches morph into full-fledged artworks – immediately available for just $75 a piece. This event is an integral part of Southern Exposure’s mission to make art and artists more accessible. This gathering is a fantastic way to view new talent, interact with the Bay Area’s artistic community and support Southern Exposure’s programming all at once. Tickets are $20 (purchase at door), The Verdi Club is located at 2424 Mariposa Street in San Francisco. Michael Arcega, mixed media works in progress. Image courtesy of Johansson Projects. July 11 – August 22nd, Michael Arcega ESPYLACOPA: A place at Johansson Projects: Michael Arcega works across media to create art that is informed by language, history and geography. This exhibition features numerous objects and artifacts from the Nacirema – a people that were the subject of Horace Miner’s influential paper The Body Ritual Among the Nacirema, published in 1956. 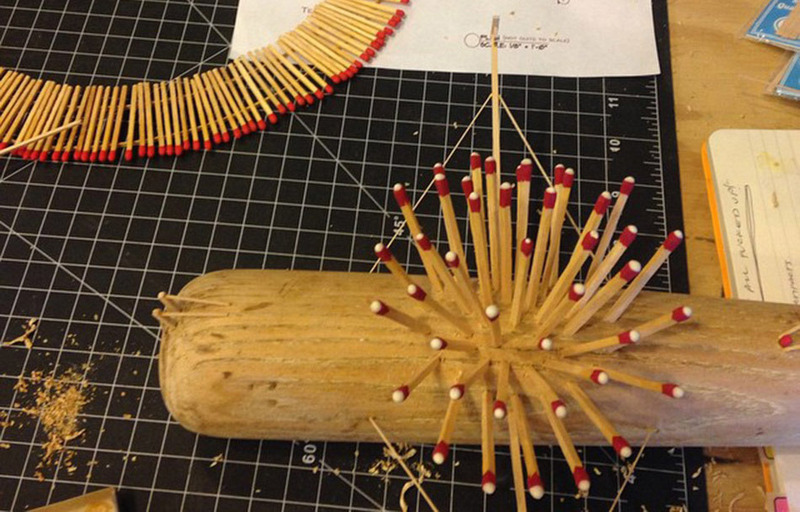 The opening reception is Saturday, July 11th from 1-4pm, with an artist talk at 1:30 pm. Johansson Projects is located at 2300 Telegraph Avenue in Oakland. Artist studios from past open house events at Headlands Center for the Arts. 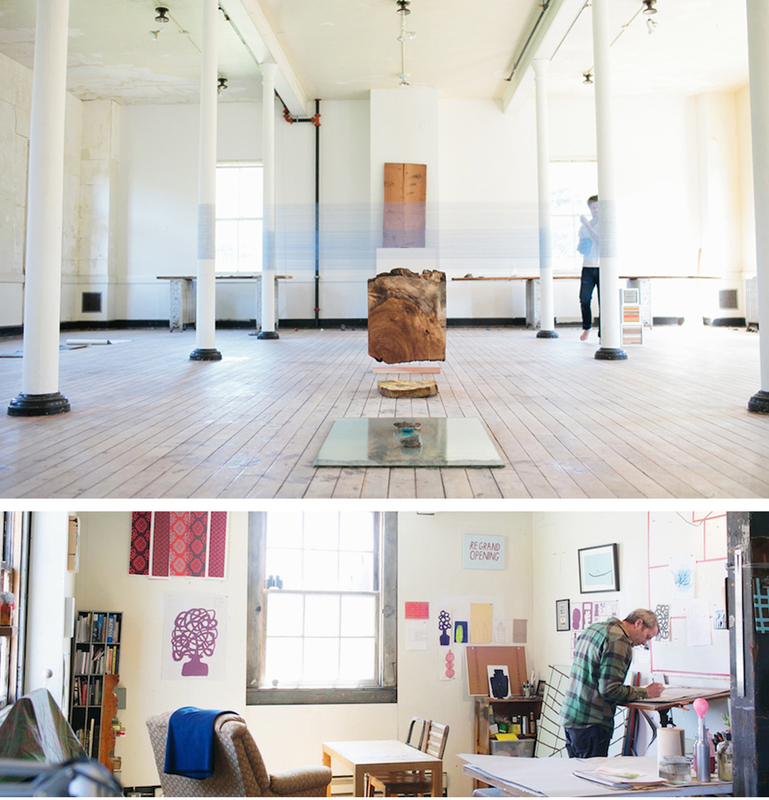 Sunday, July 26th, 12-5pm, Summer Open House at Headlands Center for the Arts: Headlands Center for the Arts provides an unparalleled environment for the creative process and the development of new work and ideas. Through a range of programs for artists and the public, they offer opportunities for reflection, dialogue, and exchange that build understanding and appreciation for the role of art in society. Twice a year they open all the various buildings of the campus for visitors to engage with artists in their studios, experience new work and works in progress. Headlands Center for the Arts is located in Fort Barry in the Marin Headlands, 944 Simmonds Road, Sausalito. 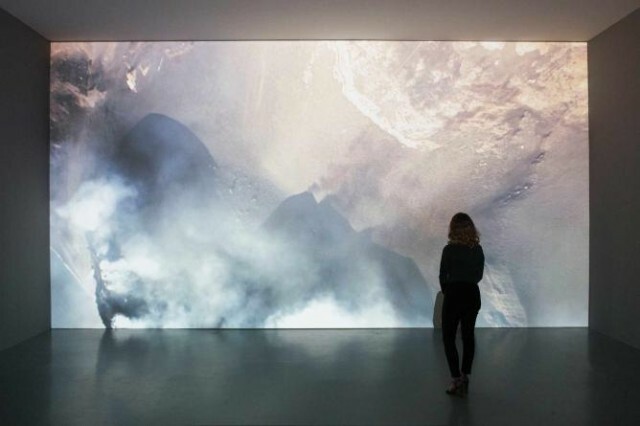 Laurent Gasso ‘View of Vesuvius’ video installation. Image courtesy of the Contemporary Jewish Museum. Ongoing to September 20th, Night Begins the Day: Rethinking Space, Time, and Beauty at the Contemporary Jewish Museum: This exhibition features the work of twenty-seven artists, scientists, and creative thinkers that, in this current moment of expansion through scientific development, look at three aspects of contemporary art that can be seen as emerging from the historic precedent of the sublime: technological innovation; new understandings of time; and new expressions of awe and fear that have emerged from contemporary irony and cultural critique. A lecture with curators Renny Pritikin and Lily Siegel will be on Thursday, July 9th, 6:30 – 8pm. The Contemporary Jewish Museum is located at 736 Mission Street in San Francisco.